Wide eyed, open mouthed, and with an uncontrollable sense of excitement at the seemingly endless opportunities on offer within the ‘Aladins cave’ of ‘pic n mix’ treasures. With a little pin striped paper bag in hand, and tugging at your parents coat tails to hurry ‘operation sugar high’ along, you’d run from multicoloured plastic container to multicoloured plastic container until your ‘swag bag’ was full. And as you’d wait for the weighing scales to level out and confirm the fate of your parents wallet (with a slight air of nervousness, having ignored their guidance of sticking to ‘flumps’ and marshmallows and opting for the far superior heavy weights of the candy world) a sense of satisfaction would appear across your face, safe in the knowledge that you were in for an evening of unadulterated indulgence and tooth decay. Fast forward 20+ years, and I find myself stood in a doorway with that same feeling of childlike glee. And whilst it’s a fact that you’re never too old for a ‘pic n mix’, this was no candy shop. I was stood at the entrance of Lamberts Yard, a premium exhibition & events space in Leeds city centre, about to enter ‘Ginposeum’; a gin tasting event with a difference! And with no parents in sight, this big kid resorted to tugging at my wifes coat tails in my haste to get involved! Pin striped paper bag suitably replaced with a Copa gin glass, and I’m handed a cryptic envelope proudly displaying the logo of our hosts for the evening – ‘Latitude Wine & Liquor Merchants’. For anyone that has ever had the absolute pleasure of visiting the ‘Latitude’ store, you’ll have experienced a shopping trip like no other. With the walls adorned with bottles from floor to ceiling, the team aim ‘to offer the kind of knowledge & expertise you simply can’t find at your local supermarket’ and have a mission to ‘seek out the unique and boutique’. You’ll find this strive for excellence demonstrated tenfold in their entire wall dedicated to gin from around the world. Of course you’ll find your ‘old faithfuls’ on show, but it’s the opportunity to find something a little more niche that adds to the excitement! What’s even better is that you get the satisfaction of ‘shopping local’, where supporting an independent has never felt so inclusive, such is the willingness of the team to share their know-how and send you away with an awesome buy. Visit the team at http://www.latitudewine.co.uk or across social media. Or, better yet, go in and say hello! Anyway, I digress. Back in the room, and kudos has to go to the Latitude team for the organisation and set up of their Ginposeum event, such is the level of detail provided from the outset. As I gently removed the contents of my little green envelope, I was presented with a neatly compiled Filofax of the gin brands on offer. As I flicked through my pack, each card proudly displayed the brand logo, a brief history of the gin and some helpful examples of cocktails & perfect serves you might want to sample from the already heaving bar as the evening progresses. And let me tell you – that’s my kind of Filofax! The new comer to the scene is ‘Greystone’ gin, an offering from the exciting prospect that is the ‘Harewood Food & Drink Project’. This is a venture that sees director Eddy Lascelles and his team aspiring to create a range of products that celebrate and promote the fantastic produce on offer at the Harewood Estate, partnering with local producers along the way. In this case, the Harewood team have buddied up with Whittakers Gin, who help produce this fantastically unique nod to everything that’s great about Yorkshire. With the warming juniper tones, supported by weighty suggestions of spice and coriander, you could be forgiven for thinking this is a typical London dry. But it’s the inclusion of the mulberries, hand picked from Harewoods 100 year old tree, combined with elderberries that have been foraged from the estate, that provide a delicious backdrop of darker fruits and a smooth finish. Combined with the intriguing brand logo of concentric circles that pay homage to the gins ancient namesake, I predict that this is a gin that’s going places. With promises of a broader portfolio of products, events and even supper clubs on the horizon, the ‘Harewood Food and Drink Project’ are one to keep tabs on! Bringing a taste of the Far East to our Yorkshire shores, James Nicol has taken advantage of his uncles ex pat relocation to ‘the land of the rising sun’ by bottling up the ‘spirit of the forest’ and creating Kokoro gin. And with the inclusion of the Sansho berry, I can honestly say that this was a gin tasting experience like no other…Tasted neat, there is a definite citrus freshness on the pallet, courtesy of the inclusion of sweet orange and lemon peel, with an almost ‘fresh cut grass’ quality on the nose. But take a second to sample the Sansho berries in their raw form and go back in for another sip – POW! The lemon hit is delightfully unforgiving, morphing from an initial lemon punch in to a tingling lemon sherbet after taste with a delicious vengeance. This is a gin that sucker punches you in the best possible way – I walked away dazed, confused and elated! What a pleasure it was to finally get to sample Leeds gin & meet its master distiller, come accountant, come marketeer, come packaging & distribution manager, come… (…you get the idea, she’s a one woman band!) Sara Birkinshaw. Having only gone on sale in March 2016, this is an artisan gin distilled and bottled in the heart of the city, with a determination to focus on local sourcing. The inclusion of the finest Yorkshire rhubarb, in recognition of the rhubarb triangle in which it was born, is a stroke of genius – here you’ll find a clever citrus forward spirit, with an extra bit of bite on account of the perfectly balanced battle of sweet & tart rhubarb flavours that linger. Perhaps the most surprising thing about Leeds gin is their petite size, given their growing stature on the gin scene. A star attraction at this years ‘Gin Festival’, and popping up in bars & specialist stores all around Yorkshire, Sara is only able to produce 26 bottles at a time! And hearing the tales of freezing winter conditions, hand labelling bottles from an industrial estate lock up unit, only adds to the romance of the brand. Quite how Sara finds time to sleep is beyond me, but if the results are the production of this absolute triumph of a gin then allow me to be first in line to buy her a coffee! Fantastic. You’d be forgiven for assuming this to be a Nottingham based gin, based on its hero namesake with a penchant for stealing from the rich to give to the poor. Nobel though the sentiment, this loveable rogue calls Sheffield home, with gin being the riches he so generously distributes to ‘the needy’ (us). Having spent the best part of eight months honing their recipe, before settling on (you guessed it!) recipe number 61, this is a team who clearly care about quality and have a painstaking eye for detail. The more unique inclusion of dandelion amongst the botanical list helps to reduce the alcohol burn that can be present amongst other gins when tasted neat, creating a smooth and elegant finish. 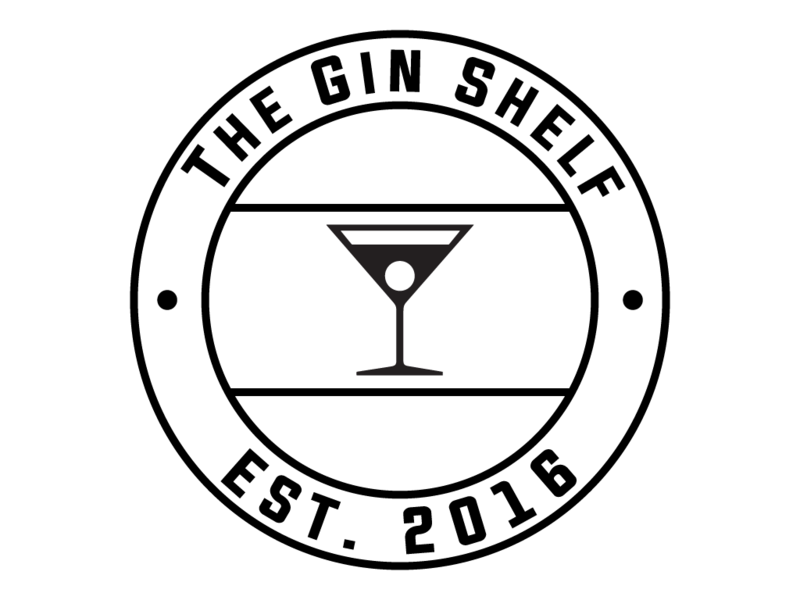 Having been a starlet of previous years ‘Gin Festivals’, taking a break this year to focus on other events and the impending launch of their new distillery still, this is a gin to get excited about with a future as bright as the luminous green of their standout branding. I will certainly be counting myself as one of Sir Robins ‘Merry Men’ going forwards. Founded in 2014, the self proclaimed (though deservingly so!) ‘Spirit of Harrogate’, Slingsby deliver quality in abundance. Their London dry is simply brilliant, but for me their rhubarb variety is an absolute stand out in the market. Taking their London dry 42% proof as the base spirit, and using natural ingredients to deliver a knock out flavour, the result is a gin that packs a weightier punch than some of its other flavoured competitors, relying far less on sugars and compromised strength. When mixed with a premium ginger beer, you’re left with a stunning mix that for me makes this a clear winner in the flavoured gin category. And with ‘Gin Experiences’ on offer from their Harrogate HQ, this is a brand that will certainly be demanding more of my attention in the very near future. And as the evening rolled on, so too did the exciting discoveries. Whether it be the smoothness of the Raisthorpe barrel aged gin or the hard-hitting portfolio of Whittakers gin, where their ‘Navy Strength’ & ‘Clearly Sloe’ (a transparent sloe gin that takes all of the qualities of a London dry yet maintains the fruity suggestions of a sloe variety) are must try’s! Though if it’s sloe gin you’re after, look no further than Sloemotion, who have long been established as my ‘go to’ in the Sloe category. And whilst their Sloe & Damson offerings are always going to be my Christmas stocking fillers of choice, their ‘Sloe Whiskey’ is well worth a go (as much as it pains my gin blogging credentials to admit!). And as we headed for the door, whilst finishing off the delightful local charcuterie & hor d’oeurves on offer (a great touch to ensure guests were well fuelled for the gin festivities!) I was left to ponder my Ginposeum experience. In reality, that childish wonder never really leaves us when we grow up – particularly when there is something this good to be passionate about. And looking back around the room, one thing was clear; I wasn’t the only ‘big kid’ in the room! Latitude, Lamberts Yard & all of the distillers there that night made you proud to be in and around the Yorkshire gin scene. The only difference from my youth is that we’ve replaced the ‘fizzy jelly cola bottles’ with ‘fizzy gin & tonics served from a glass bottle’. And if that’s not worth getting a little giddy over…I don’t know what is. With many thanks to Latitude, Lamberts Yard & all of the brands at Ginposeum for their time!